The Great House, or Plantation House, was the seat of authority on an estate. It was the home of planters, or attorneys who acted for the absentee owner. The size of the house was a good judge of the success of the owner or the plantation. These houses were usually two storey buildings with a base of brick, cut stone and mortar. The top floor was usually made of wood. Variations of this archetype included one-storey buildings constructed of wood, cut stone or Spanish walling or wattle and daub; or two-storey building made of brick, wood or cut stone. The architectural style generally reflected that of the owners former place of residence, which in many instances was England. Consequently, Georgian Period (1720-1760) inspired the designs, from which the Jamaican Georgian (1760-1830) evolved. 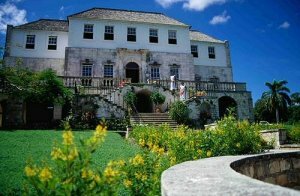 Important architectural features of the Great Houses included wide wrap-around verandas, jalousies, and sash windows to accommodate the Caribbean climate. The Great House is arguably the most prominent and tangible symbol of the plantation era. The Jamaica National Heritage Trust has declared several of these houses National Monuments, as they serve to highlight the importance of the plantation era by their contribution to Jamaica's history. The Cherry Garden property was originally a sugar estate. Colonel Ezekiel Gomersall was the first owner. After Gomersall's death the property was passed into the hands of his second wife and nephew Ezekiel Dickinson. For many years the Dickinson family owned the property. After emancipation the property was administered by Joseph Gordon who came to Jamaica from Scotland as an attorney for a number of absentee owned sugar estates and later purchased several of them. He was the father of George William Gordon, National Hero of Jamaica. In 1845, George William Gordon bought the property. He later expanded the acreage by purchasing adjoining lots. Gordon lived at Cherry Garden until he was arrested and later hanged for his alleged role in the Morant Bay Rebellion of 1865. 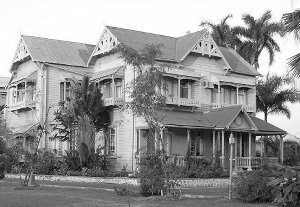 The house as it now stands is largely the work of Oscar Marescaux who bought the property from Gordon's widow in the late 1860s. Marescaux was a powerful local banker. He extended and roofed the front and back patios and improved the interior with mahogany facings. The main building, which is the Great House, is an impressive Jamaican Georgian structure, two storeys in height. Its architectural features would suggest that the date of the construction is during the mid-eighteenth century. The legend surrounding Rose Hall and its infamous owner, Annie Palmer, also known as "The White Witch of Rose Hall," is one that has fascinated generations of island natives and visitors alike. It is a story with all the elements of an engaging novel: a beautiful heroine, unrequited love, black magic and revenge - all set in a gracious old plantation tucked amid the green hills of Jamaica. One of the most impressive buildings on the property, the Great House, was built in 1770 by John Palmer and his wife, Rosa. After the couple passed away in 1790, the property went through many hands until finally ending up the residence of John Palmer's grand nephew, John Rose Palmer. In 1820, John Rose Palmer married, Annie, a beautiful but feisty English girl. Little did he know that his young wife possessed "black magic" powers that would eventually lead to his demise. During her reign as mistress of the plantation, Annie did away with two more husbands and countless lovers. Of course, the meting out of such undeserved cruelty had its price: in 1831, Annie was found dead in her bedroom at The Great House. To this day there are those who claim to see her ghost wandering the halls of the Great House. 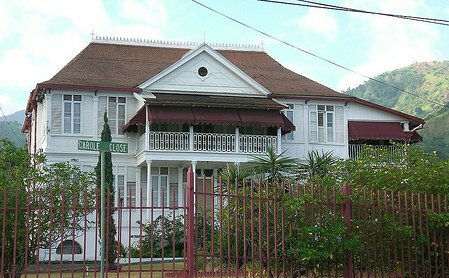 In 1889, when Black River's port was one of the most important in Jamaica, a Scottish merchant imported most of the materials for the construction of this white-sided manor house. Located on High Street, Invercauld is a fine example of late Jamaica Georgian Architecture. It is a reminder of Black River’s prosperity a century ago, when logwood and shipping brought wealth to the town. Built over 115 years ago, it has been restored and is presently used as a focal point to a hotel.